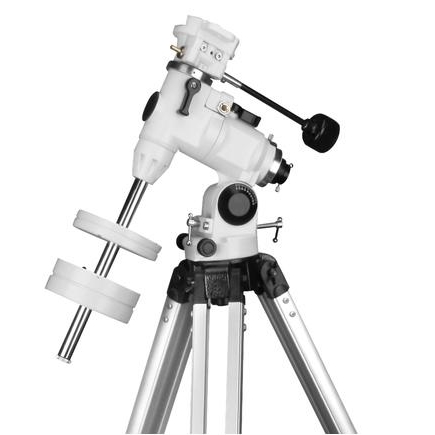 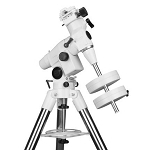 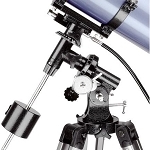 The heavy-duty EQ3 mount features 360 degree worm-gear tracking controls on both axes, large knob-style R.A. and Dec. lock bolts, dual metal setting circle dials, a latitude adjustment screw, and a built-in polar scope holder. 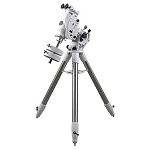 It can be fitted with both single and double axis motor drive for auto-tracking. 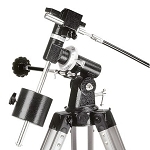 EQ3 mount with Steel tripod legs is also available.